Smart Flow is the only patient management system on the market today. It is customizable, versatile and very user friendly. If you are just starting to use Smart Flow, here are 10 quick tips to keep in mind! Easier than writing it on paper, adding a new patient into Smart Flow takes just 3 things. You just need a name, weight, and a template. The other stuff can wait. You do not need to go into your settings page or any place obscure to create a new template. 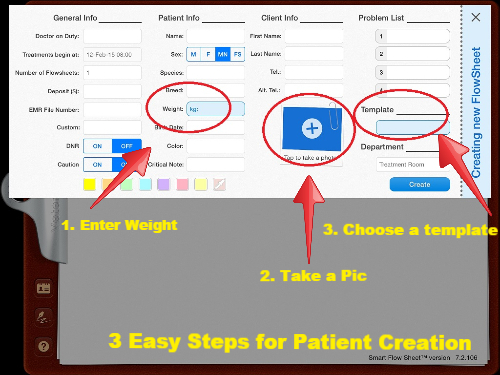 Just create a test patient, use an exisiting template and then modify it. From the iPad, you can save the template under the menu button in the edit mode. From the web, the "save as a template" icon is located in the menu on the right hand side. To add a new doctor to your list, just start typing their name into the "Doctor on Duty" box. Their name should be available thereafter. Need to delete a doctor, template, or an item from the iPad? Just slide the item to the left and a delete button appears! Don't forget to add the IV catheter information to your flow sheet. From the iPad, you'll go into the edit mode and select IV catheter from the drop down. From the web, you can enter the info using the icon in the menu on the left hand side of the screen. You can color code your highlighting for any treatment. Some ways current customers are using color coding is to signify if there is a note or special instructions, when there is a dose change, or a fluid rate change. 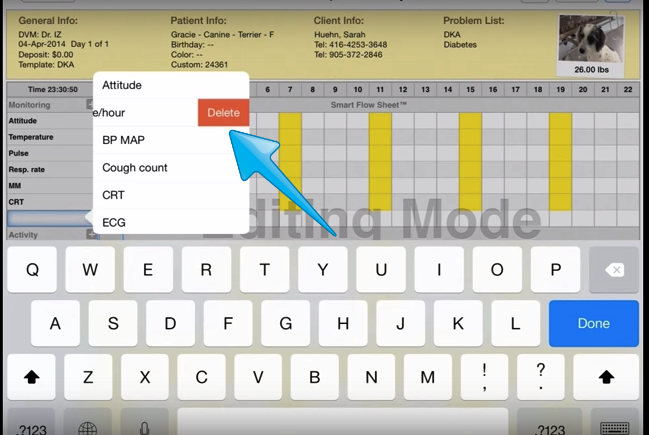 No need to grab a highlighter, just click "add 24 hours" from menu button on the iPad or the icon box to the right of the patient's treatment sheet on the web. Here you can decided if you want to copy the treatment sheet as is, or choose a new template. If you are not happy with the order your tasks are in, they can easily be re-arranged. From the web, just hover over one until a group of grey dots appear. Click on the dots to drag and drop them where you like. From the iPad, just go into the editing mode, then press and hold to drag and drop. 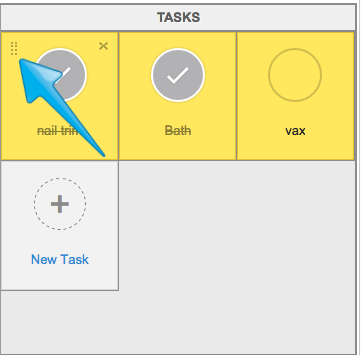 To see both the tasks due, and the timed treatments on your whiteboard, just click on the hybrid mode to the right of your whiteboard. Need more help? Click on the bug button on the left side of your computer screen to send us a report! Click on the solutions tab to search for more information.